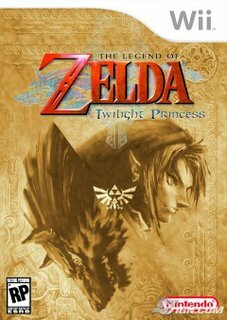 "Before the decision to make a Wii version of Twilight Princess was finalized, the Zelda team experimented to see what would happen if they used Wii controls. During their tests, they found something that they felt would be a perfect interface for the game. Aonuma came to the decision that it would be beneficial to extend development in order to increase the quality and make the Wii version. One of the big complaints about Wind Waker was that it could have used a few extra dungeons. Famitsu asked Aonuma about the volume in Twilight Princess. "We're exceeding Ocarina of Time. There's a lot of variety in the dungeons, and I think people will be able to play to the end without growing weary." Aonuma also confirmed that the Hyrule in Twilight Princess is the largest the series has ever seen. "I didn't expect it to become this big," he said with a laugh. "At the end, you'll have experienced what it's like to have an adventure extending to the farthest reaches of this expansive world." I've been reading a lot of reviews for this game and they are amazing. I can't wait! No review has been below a 9.5 out of 10 for this game. Most are calling it the best Zelda ever. Only about 36 hours to go until I have it!